Has GST Council undermined homebuyers' interest? Under the transition scheme, builders have the option to apply for either the new GST rates -1% for affordable under-construction houses and 5% on other houses - or old rates on the ongoing projects where construction and actual bookings both started before April 1, 2019. The GST Council on Tuesday finalised the modalities for transition to the new rates on residential flat. 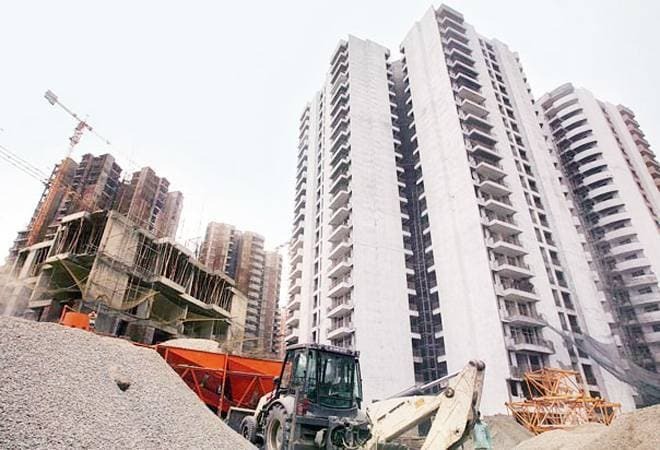 The GST Council has finalised the modalities for transition to the new rates on residential flats during its 34th meeting in New Delhi on Tuesday. Under the transition scheme, builders have the option to apply for either the new GST rates -- 1 per cent for affordable under-construction houses and 5 per cent on other houses -- or old rates on the ongoing projects where construction and actual bookings both started before April 1, 2019. For new projects starting after April 1, 2019, the new rates would be applicable. The builders would be given a one-time option to continue to pay tax at the old rates (effective rate of 8 per cent or 12 per cent with input tax credit) on ongoing projects, which have not been completed by March 31, 2019. The option will be exercised once within a prescribed timeframe and where the option is not exercised within the prescribed time limit, the new rates would apply. The GST rates had been reduced to 1 per cent for affordable under-construction houses and 5 per cent on other houses from effective rate of 8 per cent and 12 per cent earlier in the previous meeting of the council. However, the move to leave the decision to apply new rates on the incomplete projects on builders raises the question if the council is ignoring the interest of buyers for the interest of builders as the latter are more likely to charge the older rates as they can claim input tax credit. Ajay Bhushan Pandey, the revenue secretary, who briefed the media after the council meeting, said that the government expects the builders to pass on the benefit of lower tax rates as the rates were revised only based on their representation. But if that was the case why would the government give the option to charge old rates at all? Pratik Jain, Partner & Leader, Indirect Tax, PwC India, explains. "Providing such option would be beneficial for those developers who had already factored in the entire input credits of the project while arriving at the sale price and in many cases, these benefits may already have been passed on to customers," he says. Mekhla Anand, Partner, Cyril Amarchand Mangaldas, says that by making the new tax rates optional for residential projects under construction, the Council has effectively addressed apprehensions as well as potential disputes on various computational and transitional issues such as the loss of input credits, pricing etc that were bound to arise on account of the change. Ajay Bhusan Pandey says if the builders do not pass on the benefit, buyers can still go to the National Anti-profiteering Authority, which pursues cases of non-passage of GST benefits to customers. Meanwhile, in case of houses booked prior to April 1, 2019, new rate would be applicable on instalments payable on or after that date. The new tax rates would be applicable to projects only if 80 per cent of inputs and input services (other than capital goods, transfer of development rights, FSI, long term lease premiums, etc) would be purchased from registered persons. Inputs below the 80 per cent threshold would lead to 18 per cent tax.